Below you can view all the homes for sale in the Sheffield Manor subdivision located in Raleigh North Carolina. 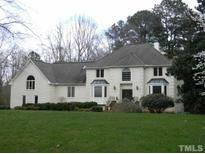 Listings in Sheffield Manor are updated daily from data we receive from the Raleigh multiple listing service. To learn more about any of these homes or to receive custom notifications when a new property is listed for sale in Sheffield Manor, give us a call at 919-928-5027. Spectacular Estate Home in prestigious Sheffield Manor!2-story foyer w/curved staircase.Dining Room w/tray ceiling&chandelier.Great Room w/Fireplace&custom,glass built-ins.Sun Room w/coffered ceiling&Fireplace.Gourmet Kitchen w/granite counters,Stainless Steel appliances,double wall ovens&island.1st Floor Master w/dual granite vanity,tiled shower&garden tub.2nd Master w/dual tray ceiling,sitting area,Fireplace,soaking tub,tiled shower&Walk in Closet.Bonus room w/valuted ceiling,moldings&bar.Relaxing deck w/hot tub,in-ground pool& landscaped yard! MLS#2241760. 1128. FloLogic whole house leak detection & water conservation system. MLS#2243369. 513. 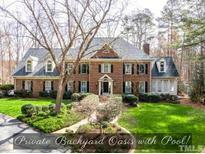 Full finished basement w/ Recreation room, wet bar, exercise Room & media room. Multi tiered deck, private yard. MLS#2243187. 513. 4 bedrooms (2 masters),bonus room can be used as 5th Bedroom,6 updated baths, refinished hardwoods, new interior paint, main floor bedroom & full bath,Executive kitchen w/2 Dacor ovens, 2 sinks, 6 burner Dacor gas cooktop & microwave, paneled Subzero refrigerator, master bath w/steam shower, hardwoods on 1st & most of 2nd floor, outdoor living w/kitchen-built in nat.gas Firemagic grill, sink,Refrigerator. Pool,Tennis, & clubhouse Community. MLS#2240269. 2831. 2nd floor master AND in-law suite or 2nd master on 1st floor. MLS#2239127. 1127. Perfect size bonus & Sealed Crawl Space! A MUST SEE! MLS#2237201. 1128. HOA fee includes community Clubhouse, Swimming Pool and Tennis Courts. MLS#2237283. 64. Gourmet Kitchen, Hardwoods most of Main, Open Family Room, Home Office, Retreat Downstairs with Bar, 2 Fireplaces, Fresh Paint, New Carpet Down, Walk in Attic, Workshop, Bonus Room, Irrigation, Landscape Lt & More. Close to 540, RTP & RDU. MLS#2236302. 983. This is a lovely pool and tennis community you can call home MLS#2235625. 4915. Beautifully maintained grounds with a swimming pool and pond. MLS#2224295. 3300. Prime location in the middle of everything. MLS#2090330. 3000.